The design intent was to consolidate administrative, accounting and conference functions; provide critical classroom space; and honor a strong commitment to remain in the neighborhood. All this generated a program covering 3,000 SF of additional space. 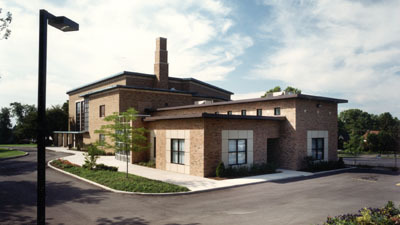 This project presented a unique opportunity to meld a new administrative wing into a Wrightian styled building. The flat tiered room structure, grid windows, and traditional styling offered an Architectural challenge to integrate contemporary attitudes into a 1940's vintage building.